I'm building some new walls. 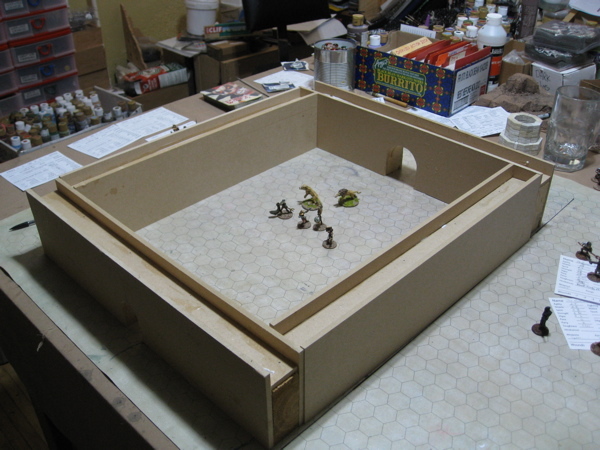 These will double as walls for the arena in our Gladiator Campaign and also walls for a fort. I still need to texture and paint these, but I think they're useable enough for tonight's shenanigans. I've still to make some corner pieces. I will make a set of four that are simple right angle wall turns - for the arena or a less-well-defended town/fort. Bring rather modular, however, I will also, at some point, build some turret-like corners for a better fort/fortified town. 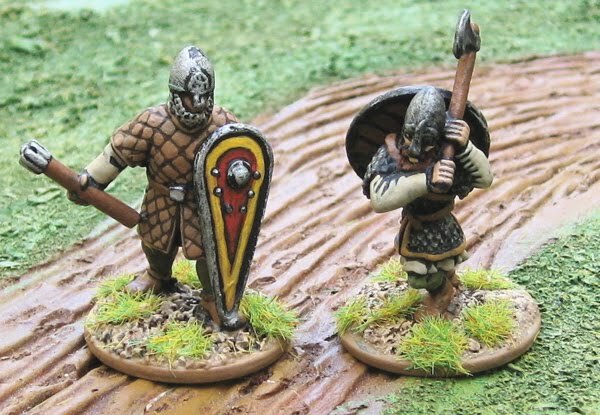 These are (mostly) historical Dark Age Normans. 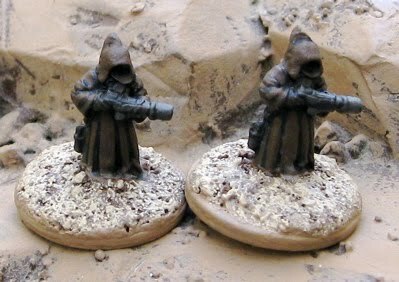 I have to admit I am painting them up for potential use in upcoming fantasy skirmish/adventure games. 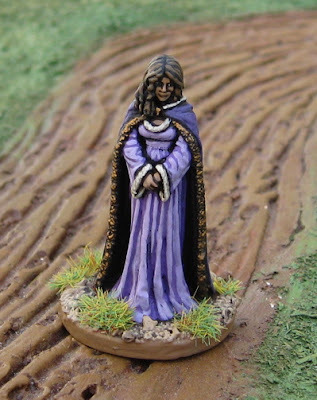 I like the dark ages as a backdrop for fantasy games (rather than “high mediaeval”). 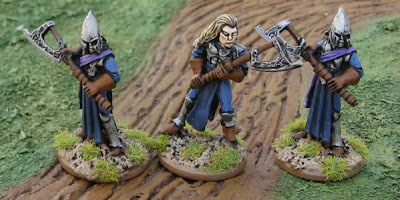 Four Normans from Gripping Beast. Another Norman (left) from Crusader Miniatures and an Anglo-Danish Huscarl from Old Glory. This is an ole “D&D” figure I’ve had for over 25 years. 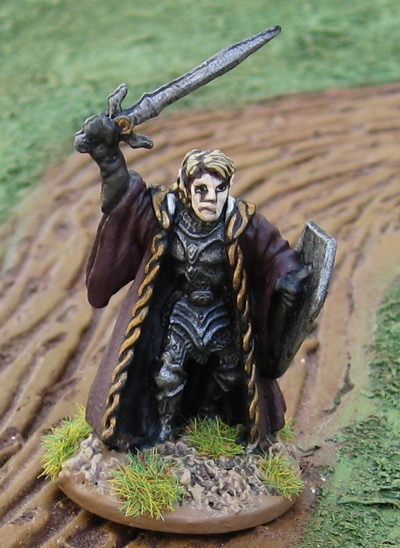 I’ve stripped layers of paint off this fellow and repainted him. I have no idea who manufactured him. There be dragons lurking about the painting table… and zombies… and Elves and Dwarves…. and some modern British(!? 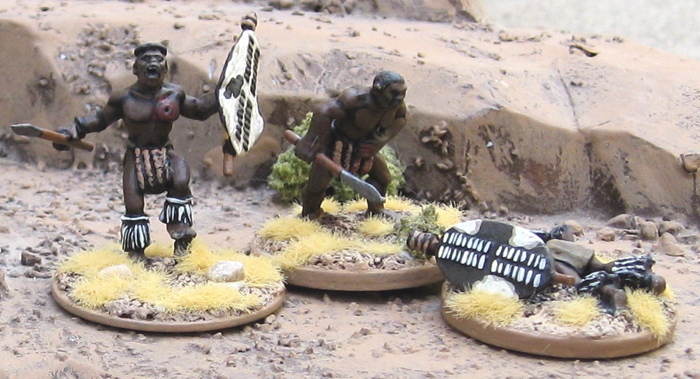 )… and even a few Zulus still. Hard to say what will be next…. Started playing a bit of Savage Worlds with the kidz last week and they are super pumped!! 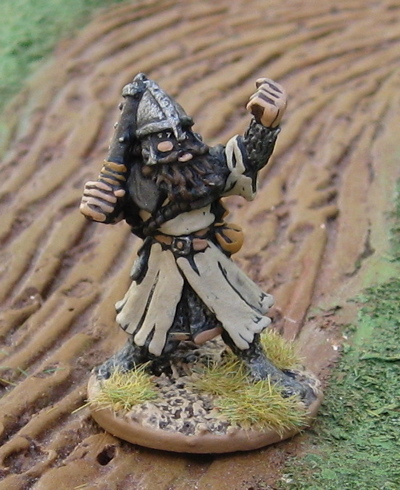 So in anticipation of further fantasy adventuring with them I’ve started working on some fantasy skirmish figures. Also thinking about digging out the HoTT stuff for some larger conflicts. I also pulled my games from Toon Con - for a variety of reasons - (sorry John…) so I’m feeling a little less pressured to get hordes of Zulus done NOW!! I’m hoping I’ll have enough to play isandlwana by my birthday bash weekend (February) and Vimy ready to go again for the anniversary (April). I'm having a fairly productive, if somewhat random, week. 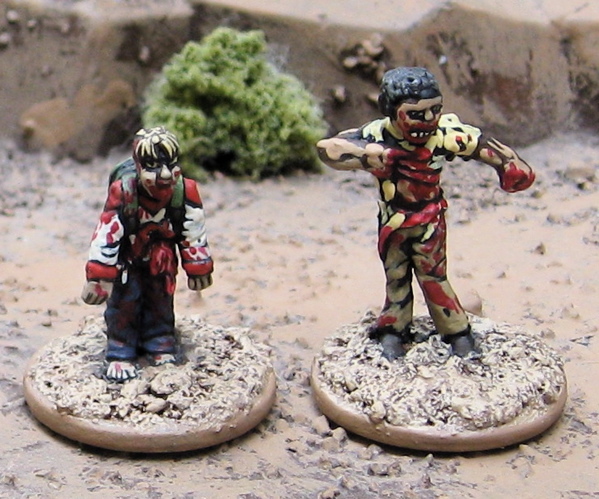 Five “Professionals” from Wargames Foundry (I THINK that’s what the pack was called…). ANOTHER ZOMBIE!! This one is from RAFM. I just don’t know… probably Zombies and Tommies of various different eras. 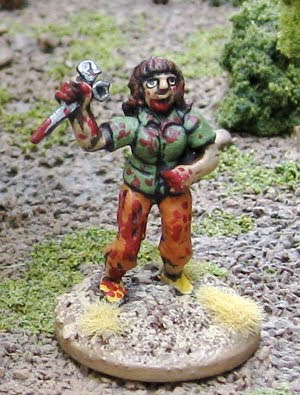 Well… Not a Zombie… Another one of the “Lovemore Detective Agency” pack from Wargames Foundry. 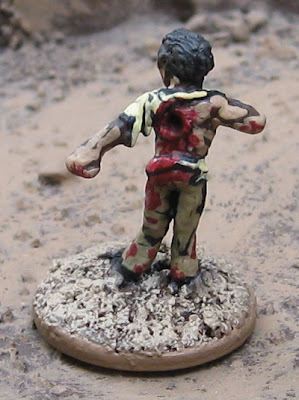 On the back side, things are a little more apparent – a gaping hole has been blown through him!? 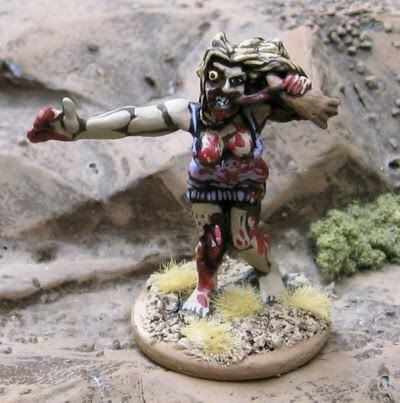 Did someone say they wanted to see Zombies…? A week or so ago I read the first four volumes of the Walking Dead graphic novel series. This last week I watched season one of the AMC TV series…. Not a Zombie… and not really a cop either. This is “Penny Lovemore” from the “Lovemore Detective Agency” pack from Wargames Foundry. She’ll probably be used more often as a Special Investigator for the FBI (or RCMP? Or whatever…) perhaps investigating the ridiculous claims of a zombie invasion…? Here’s the back side of that crossing guard. 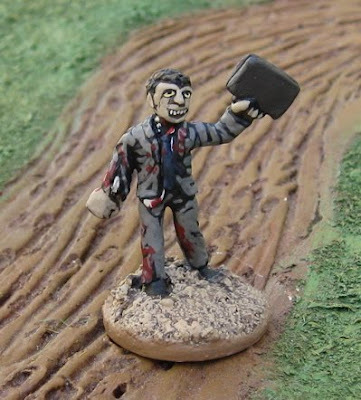 This brings my Zombie Horde up to 23. I have another 28 or so to paint (mostly from the Mega Minis pack). Is that enough…? Zombies…? Zulus…? Zombie Zulus!? Something starting with “Z”!? 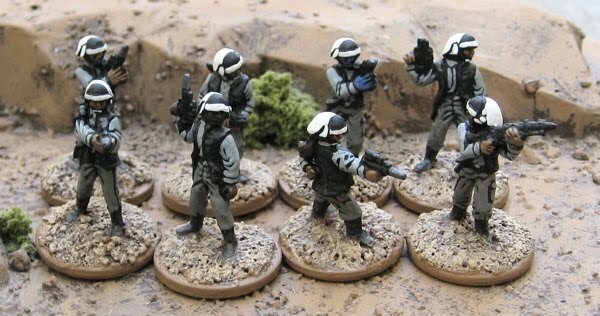 As with all the Star Wars figures I’ve been painting lately, these are all old Grenadier Miniatures/West End Games figures. Hopefully I’ll be able to cobble a quick game together with all these guys soon..
Imperial Stormtrooopers and Scout Troopers from Grenadier/West End Games. Anyone notice anything funn about these guys…? They’re almost all left-handed!? Really?! Are Stromtroopers all left-handed?! Two more Foundry Zulus armed with Muskets. 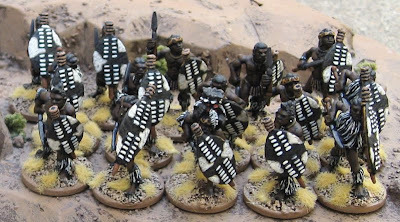 Hopefully more Zulus – I’d like to get at least one more unit done for Friday’s game!! 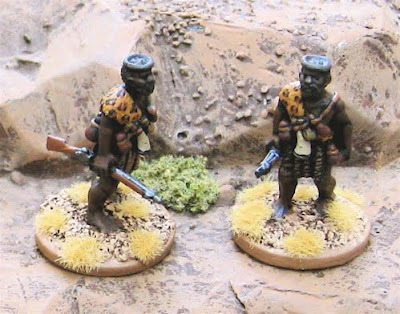 Another unit of Zulus from Black Tree Design. 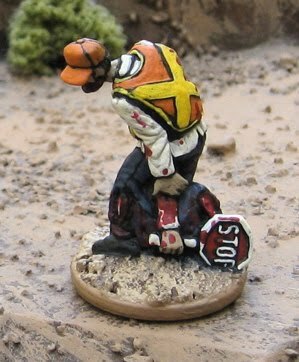 A few more Zulu casualty/morale failure markers – the two still standing are from Wargames Foundry , the prone fellow is from Old Glory. 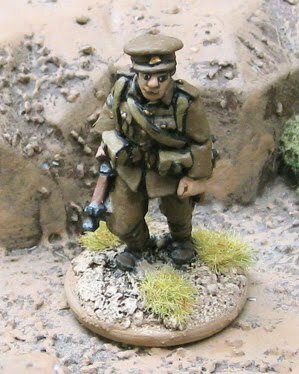 Another odd British infantryman – also from the Foundry. 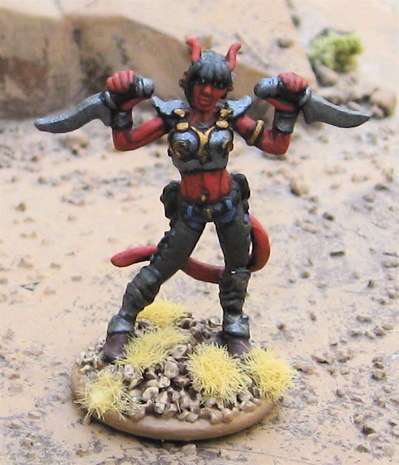 Um… Hellgirl? This is a Reaper Miniatures figure I was shipped this by accident a few years back… I’ve been reading Hellboy lately… I briefly considered converting the armour to look like a BPRD vest and convet one of the hands to be holding a BIGASS gun… but then I got lazy and just painted it as is. 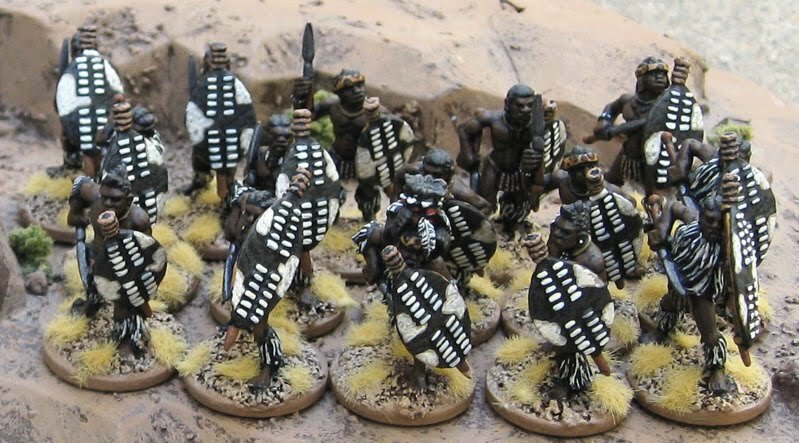 More Zulus. I think I’m going to put the Martians on the shelf until the Zulu war stuff is finished. I also need to get cracking on refurbishing the Vimy Terrain. I thought I’d run my Vimy 1917 game again. The game focused on the Canadian 4th Division’s assault at the far right of the line. 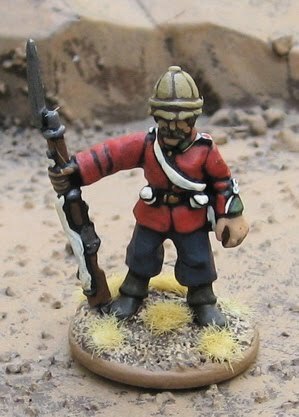 I’ve been pretty interested in the Zulu War of 1879 lately and been getting a lot of stuff ready for it. My eventual plan is to play out the campaign using Mark Fastoso and Roy Jones Colonial Campaigns: The Zulu War, 1879. I’m not sure if I’d have enough stuff for any of the big battles/scenarios presented in the book… or exactly what rules I’d use – probably something cobbled together based on Ever Victorious Armies – with a few ideas stolen from Black Powder and The Sword and the Flame. I probably wouldn’t be able to do BOTH, however. Up to four players – Easch player controls a squad of US soldiers vs. GM controlled Viet Cong. 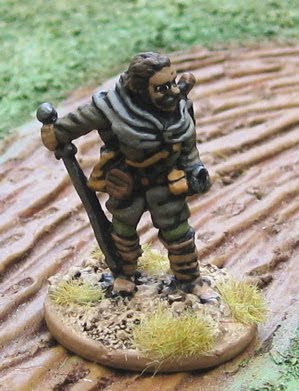 Up to four players – players control a fireteam of British SAS vs. GM controlled Taliban. 4-6 players – each plays a wild card character vs. GM controlled Zombies. 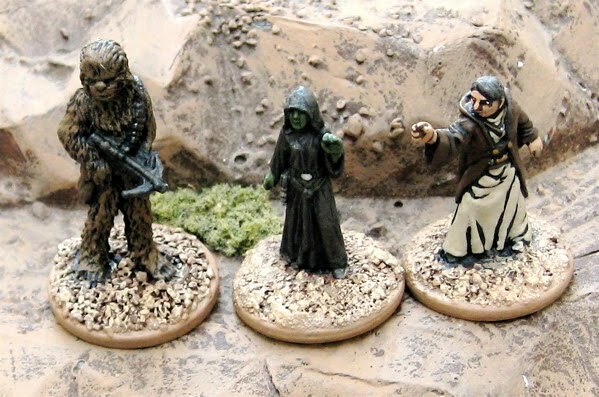 Heroes trying to stop evil cultists from summoning other worldly evil. 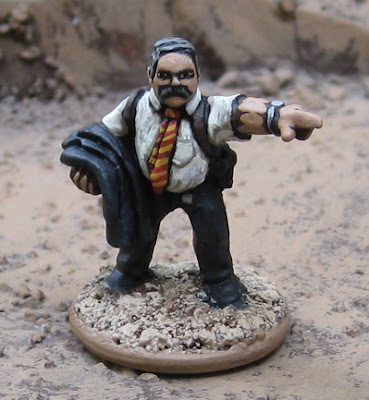 Up to 6 players – each player controls a wildcard hero vs. GM controlled cultists. Up to 4 or 6 players – players control a Wild Card monster hunter (and their allies extras) versus GM controlled monsters. 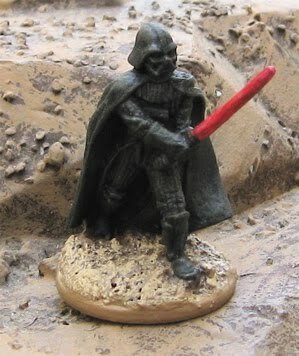 Players control super heroes vs. GM controlled super villains and their minions. East Front? Street fighting in Stalingrad? Kursk Tank Battle? Northwest Europe? Canadians in Normandy? Paras in Normandy or Arnhem or Varsity? Kelly’s Heroes? Eagle Has Landed? As WW2 above, but with extra added weirdness!? Explorers and/or British soldiers vs. natives and/or rival explorers. Multiple groups all looking for the same buried treasure on remote tropical island? Up to six (eight) players – Each player controls a single ship of the line. Up to four players – players control bands of either British Militia and allied Indians or French Colonial Infantry. Robin Hood and his merry men ambush The Sherrif of Nottinghams men in Sherwood Forrest? Defend Village against an orc/viking raid…? It’s a bug hunt. Colonial Marines (or something similar) trying to get back to their ship on a jungle world infested with alien bug creatures. …. I’m sure if I thought about it a bit I could come up with some more… ideas? 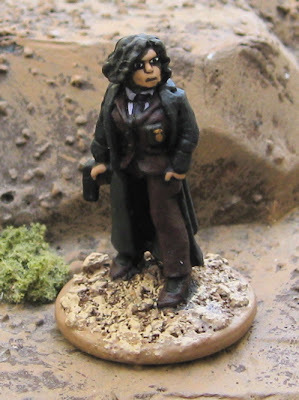 Earlier I had considered some big battle De Bellis Antiquitatis or Hordes of the Things Games… or some Black Powder or Cold War Commander or Blitzkrieg Commander… But that’s just not where I’m at these days… and I don’t want to overdo it.